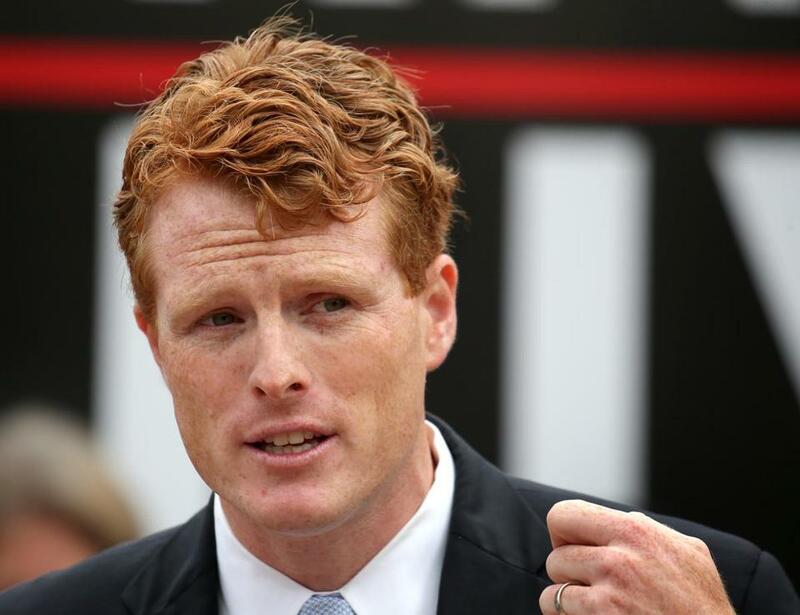 Joe Kennedy probably shouldn’t have been surprised. The congressman says he didn’t expect such an outsized reaction to his New England Council speech on Monday, in which he urged business leaders in Boston to pursue what he terms “moral capitalism.” Put simply, Kennedy wants employers to balance investors’ demands with society’s needs. Yes, it was unusual content for one of these business breakfasts, a sobering wake-up call after the long Thanksgiving weekend. The message obviously resonated, judging from the feedback he received afterwards -- calls, e-mails, shout outs on social media. By coincidence, General Motors later that day disclosed it would cut 14,000 jobs. Kennedy seized on the opportunity after he was back in D.C., blasting GM on the House floor during a truncated version of his Monday speech. The GM announcement was reminiscent, on a much larger scale, of the recent Philips Lighting factory closure in Fall River. Although Kennedy has often touched on these themes before, this was the first time he wove them together in his call for conscious capitalism. We live in an uncertain economy: The unemployment rate is relatively low, but mass layoffs continue and too many workers live paycheck to paycheck. Kennedy says the $1.5 trillion tax cut plan that Congress approved a year ago has largely benefited wealthy investors, in part through a wave of stock buybacks, and not the many people without 401(k) retirement plans. Conservatives often argue that corporate tax cuts trickle down to the middle class, while many of Kennedy’s colleagues in the Democratic party say the best answer is to ratchet up taxes on the 1 percenters. Kennedy, meanwhile, says he takes a middle view: The problems this country faces can’t be solved on the backs of the wealthy alone; the corporate sector needs to step up. So what’s next? Kennedy says he hopes to keep the conversation going, in part by translating the feedback into legislation now that the House will be under Democratic control. (The GOP-led Senate could still pose roadblocks, of course.) One idea: incentives for early childhood education, also a priority for a colleague in the Mass. delegation, Katherine Clark. His main point, though, is that the answer can’t just come from more government. He needs allies in the corporate world. This can be particularly tough for public-company executives, whose jobs essentially force them to think quarter to quarter, earnings call to earnings call. Local business leaders, to some extent, are already paying attention to this issue. InkHouse CEO Beth Monaghan helped champion paid family leave and an equal-pay law for women, while Eastern Bank CEO Bob Rivers corralled corporate donations for a ballot-question campaign to protect transgender rights. Panera cofounder Ron Shaich has made it his cause to warn about the risks of quick-buck thinking. (It’s one reason, he says, he took Panera private by selling the chain last year.) Seth Klarman, meanwhile, bemoaned Wall Street’s short-term mindset in a recent speech at Harvard Business School. It might seem odd for a hedge fund manager to complain about capitalism run amok. But Klarman says shareholders shouldn’t be the only constituency that matters. What about customers, employees, the planet? Kennedy wants to see more of that thinking. He came to the New England Council seeking help, asking corporate leaders to join the front lines of this debate. Economic equity, he told them, and economic exceptionalism shouldn’t be mutually exclusive.